Imagine you are planning a dinner party. Before you crack open the recipe books or buy groceries, you need to know how many guests are attending and who they are. Cooking a meal for four vegans looks very different than for 12 burger-loving kids. Zeinab El-Masri uses the dinner planning analogy to explain the importance of data. “Every story starts with surveillance. You can’t do anything until you know your population,” says El-Masri, a senior specialist with CCO's Cancer Surveillance Program. But it's not enough to just collect data, she says. Surveillance information is at the foundation of evidence-based improvements to the healthcare system. But, she says, it needs to be effectively disseminated and communicated for these benefits to be realized. 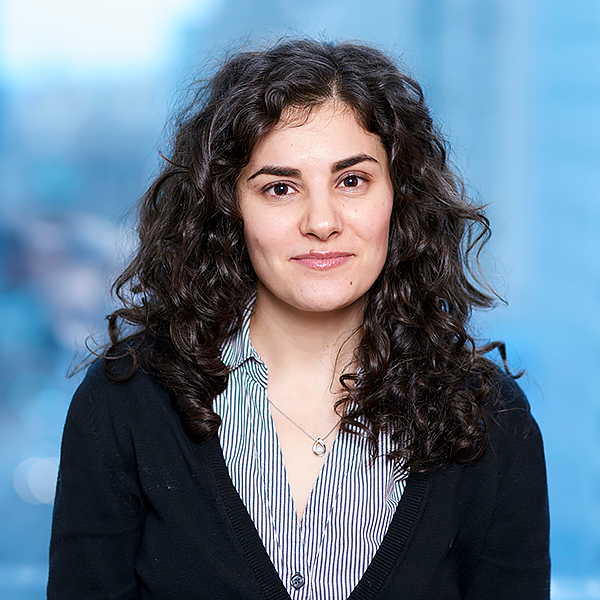 A perfect example of El-Masri’s work with her team is the recently released Ontario Cancer Statistics 2018. It's the second in a series of comprehensive reports that describe the changing burden of cancer in Ontario. “It's very rewarding to know that I play a role in the collective effort of many to produce and translate information that can be used to improve cancer prevention and care,” she says. El-Masri has long been interested in healthcare and health promotion. She was studying biomedical sciences at the University of Guelph and toying with the idea of medical school when a course in epidemiology piqued her interest and led her to complete her Master’s degree in Public Health at the same university. All through her studies, El-Masri worked as a ward clerk at Toronto General Hospital. This incredibly high-stress and enlightening job cemented her interest in preventing people from developing a chronic disease in the first place. During her time at CCO, she has gained experience in a number of roles. “Each time I thought I needed to move on to grow, a great new opportunity with CCO came along,” she says. Fortunately for her colleagues at CCO, she shares her love of food by often bringing home-baked goods to work. She confesses, however, that she has yet to discover a recipe for brownies that is both healthy and tasty. - Zeinab El-Masri is the Senior Specialist, Knowledge Dissemination & Evaluation, with CCO's Surveillance & Cancer Registry.